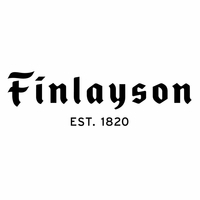 More about Finlayson Villipedot Blanket Snuggle up to soft materials and cuddly critters with the Finlayson Villipedot (Wild Animals) Blanket. 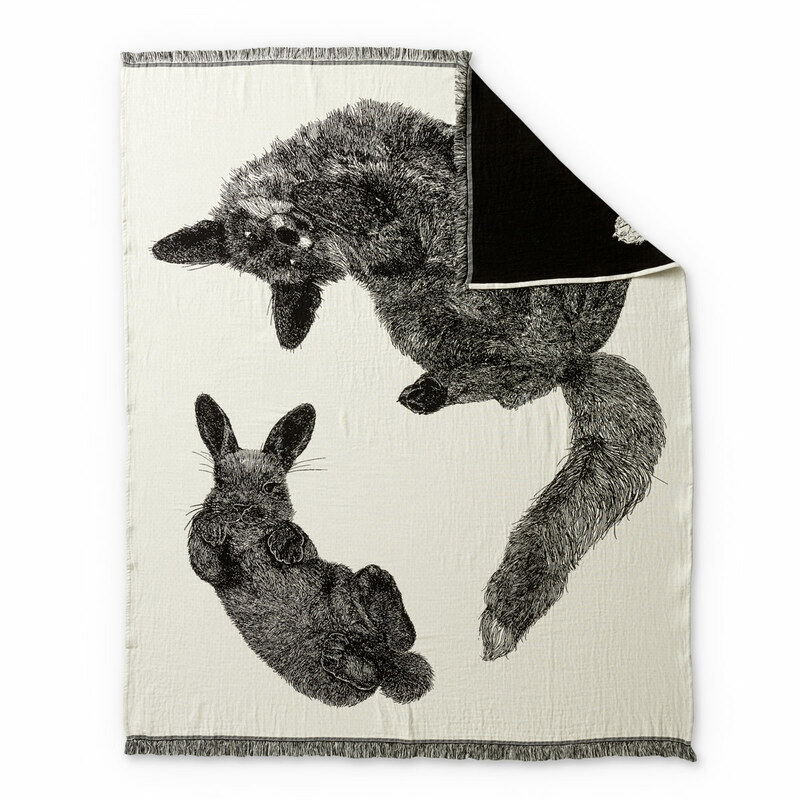 An adorable fox and rabbit sprawl out on the cream-colored, 100% cotton with the image reversed on the backside. 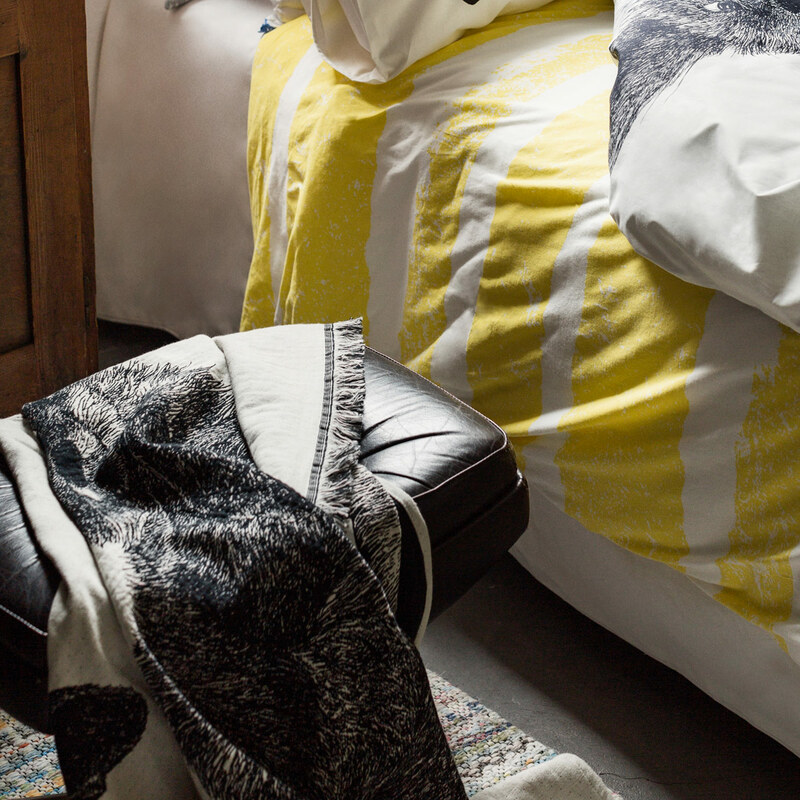 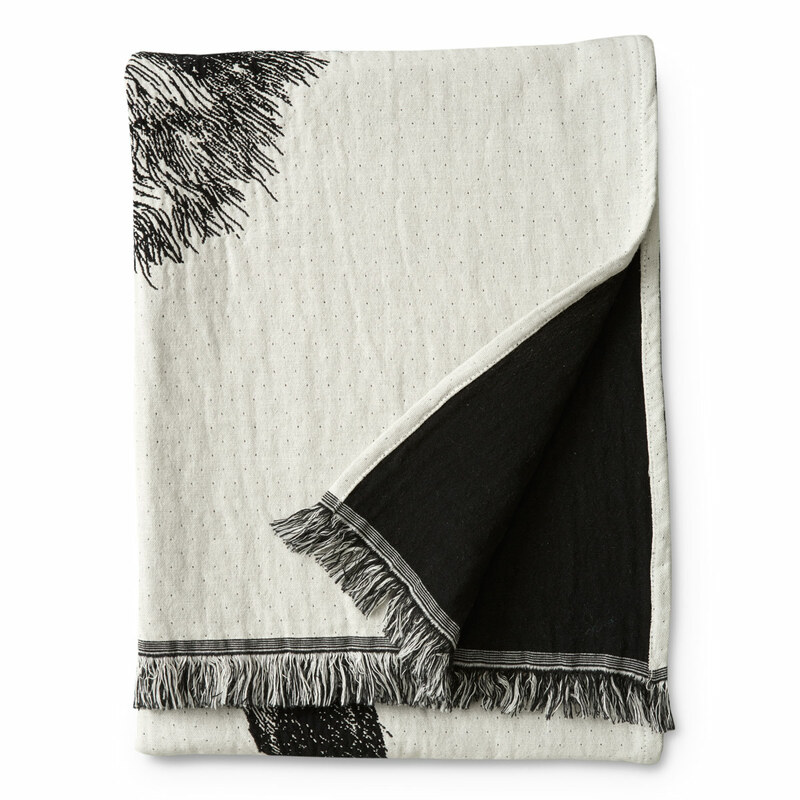 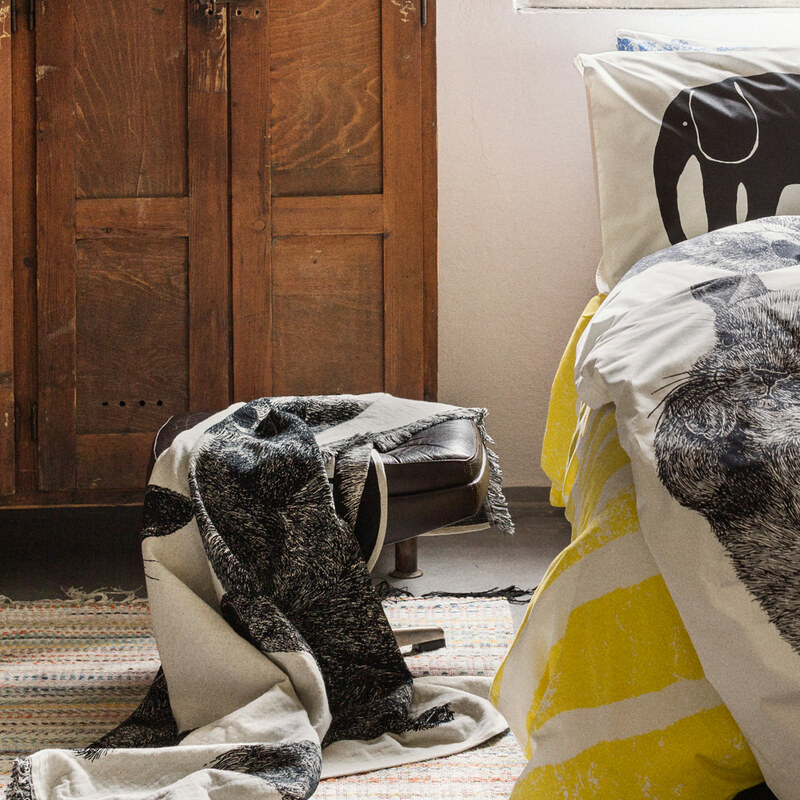 Machine washable, the blanket is lengthy and lightweight with fringed edges to add to the cozy chic look.